After holding three successful editions of India Wine Challenge in London, Delhi and Mumbai and announcing the fourth one in Mumbai in January next with the addition of India Spirits Challenge, the organisers have decided to shelve the Competition for the time being, since there were not enough entries to make a credible competition, writes Subhash Arora. ‘It is with regret that the Indian Food and Beverage Competition Ltd. announce that the India Wine Challenge will not now take place in Mumbai in January,’ says a company announcement. ‘We believe it is important that we review all aspects of the proposition and formulate a solution that can offer real value to our entrants. The opportunity in India is to offer a Challenge that can help consumers make more informed choices in both the five star hotels and the more price conscious retail environment and this is something we will be reviewing in the coming weeks,’ he added. ‘The fact that the Challenge will not occur in January was a very difficult decision to make but shows our total commitment to running an event that is credible and offers real commercial value,’ informs Allen, adding that he hoped it would reappear within 12 months. Robert Joseph brought the Challenge to India as the Chairman and the first two editions were held in London and Hotel Hyatt Regency Delhi and were partnered by him with IFE India Ltd. When IFE got dissolved in 2009 due to differences between partners, Robert joined hands with Informa India and organised it in Mumbai in January this year, in conjunction with Taste food and wine show. He then collaborated with IWSG Group which holds the International Wine and Spirits Competition successfully every year and also started the HKIWSC Wine Competition in Hong Kong last year. Although the India Wine Challenge and Robert Joseph had both created the acceptability and credibility after initial skepticism by the doubting Thomases in India, it was still financially in the red. Wine Importers and producers-Indian and foreign, have always claimed on the other hand that the competition has been a profit-making venture. It was expected to break even this year. There have been numerous problems with conducting the competition primarily due to logistics and the complex customs and excise laws which obliged the first two editions to be held in two stages, in London followed by Delhi. Last year there were problems in Mumbai when the competition was shifted fully to India, when several samples could only be released at the eleventh hour- and a half! Entering the fourth edition, Robert Joseph, Chairman of the Challenge from inception had said a few weeks earlier that he was also adding the sister competition - the India Spirits Challenge while in another development the Wine Challenge would include awards for matching with key Indian dishes. No response has been received from the globe-trotting Robert at the time of publishing this news report. Besides the world recognised International Wine and Spirits Competition, and the now shelved India Wine Challenge, the IWSC Group Ltd is partnering with Debra Meiburg MW and Simon Tam in Hong Kong to conduct the HKIWSC. The competition enjoyed the credibility of a Master of Wine and the IWSC and was extremely successful even in the first edition. The second edition last month was equally successful. The soft spoken lady of determination, Debra says, ‘we are successful since we offer a unique advantage to our entrants-we promote and publicize the winners throughout the year through various programmes. 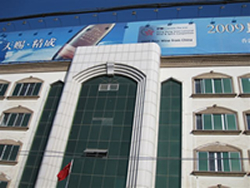 It is to their credit and the credibility of the competition that Helan Mountain Winery Ningxia-the 2009 Best Wine from China Winner at the HKIWSC, displays the award announcement prominently at the top of their winery. As confirmed by Debra, Allen Gibbons tells delWine, ‘both the IWSC and IWSC Hong Kong are showing robust growth and we are looking to extend this still further in 2011.’ And what about the India Wine Challenge? ‘At the outside limit, I would say we should re-start within 12 months,’ speculated Allen.